Climate: The climate is subtropical in nature. The average annual rainfall is 3599 mm, hottest month is October, coldest month is January, driest month is December, wettest month is July, average maximum temperature is 34.20C and average minimum temperature is 15.60C . 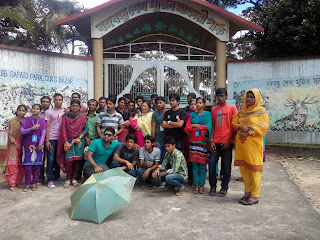 It takes 2.5 hours from Chittagong. From Cox’s Bazar you can reach Chakaria by Bus/ Microbus or Chander Gari ( One kind of Jeep). After visiting this park you have to come back to Cox’s Bazar.There are many hotels and restaurant you can find in Cox’s Bazar to stay and fooding. Bangladesh is a diverse country that attracts thousands of visitors each year. Tourists flock to the country to experience its unique culture, meet its friendly locals and enjoy the magnificence of the country’s wildlife. Many reserves and conservation projects have been established in Bangladesh to protect its rare wildlife and bird populations, and one such breathtaking eco-tourism initiative is the Dulahazra Safari Park. Dulahazara Safari Park was established in 1996.This is the only safari park in Bangladesh, situated 107 km south of Chittagong City under Chakaria Upazila of Cox’sBazar District. Dulahazra Safari Park was developed on an undulating landscape of around 2,224 acres of area at Chakaria Upazila in Cox's Bazar District, Bangladesh, some 50 km away from the cox'sbazar, with an objective to create facilities for Eco-tourism, research work and entertainment aside from conserving wild animals in a natural environment. Dulahazra Park is home to at least 4,000 animals of 165 species. There are several attractions inside the park. After entering the park, you'll find the orchid collections at right, and a museum at the left side, both are equally attractive. You can travel inside the park by transport system of the park or by feet. Attractive animals include Lions, Bengal Tigers, Crocodiles, Bears, Chitals and lots of different types of birds and monkeys. There has a watch tower from top of which you’ll enjoy the vast ocean of green plants. 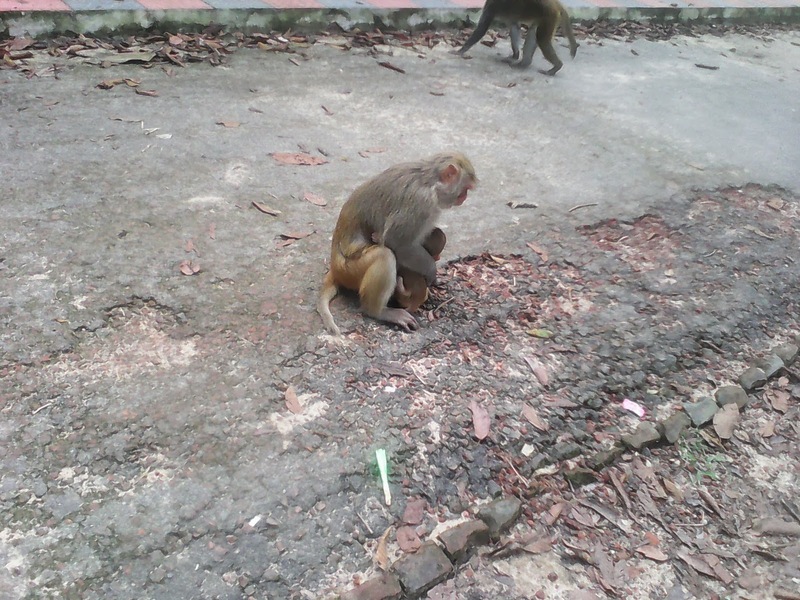 Many individuals also 'donated' some of the animals to the park . The seized and donated animals recently sent to the park include 90 spotted deer (chital), 42 barking deer (maya, a species of muntjac deer), three sambar deer, one freshwater crocodile, one saltwater crocodile, nine black bear, four pythons, 17 peacocks, 19 Turkish pheasants and two emus. Other source of animal includes the Dhaka Zoo. While the animal population in Dhaka zoo has increased over the years due to their breeding, the Dhaka zoo donates a number of lions and tigers to the Dulhazra Safari Park. Visitor Attractions: The park itself protects a large number of wild elephants which are native to the area. In the safari park there are domesticated elephants which are available for a ride. Other animal attractions include lions, Bengal tigers, Crocodiles, Bears, Chitals and lots of different types of birds and monkeys. Since the park was made open to the public, it has been drawing a huge crowd all year round — 6,000 visitors daily during peak season. Dulahazra Safari Park is absolutely located for visitors to take pleasure in day trips out to this amazing conservation area. The park has got concentration as a recreation spot for universal mass of the people and for the biologists. It is one of the learning spots as well. The place has now become a Safari Park and a Zoo. Now a days, if any wild animal is unlawfully or unintentionally caught anywhere of the country, is being transported and placed in this area. Large number of people visits Safari Park because of its magnificent natural scenic beauty and attractive undulated landscape with green coverage. Hills and water bodies are interwoven with each other. It is also recognized for its ecological importance, and scientific, aesthetic and recreational values. The forest of Dulahazara range sustains subtropical evergreen and semi evergreen trees and wildlife. This area is important feeding ground of wild elephants because the herd of wild elephants often visits this area and damages public property. 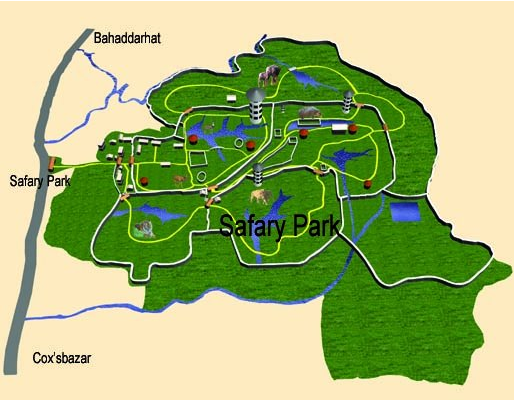 Dulahazra Safari Park project got underway Between the years 1998 and 1999, occupying only a little piece of land, which has now mature to over two thousand acres of sheltered land. The government began to play an dynamic role in the improvement of the park in 2007, ensuring that unlawfully owned animals was held and taken to the park, with many of the animals also being donated by their owners. This has allowed the park’s population to grow to nearly four thousand animals, providing visitors with 165 species to marvel at. The variety of animals that have been seized and donated is astounding, with the park taking in saltwater crocodiles, black bears, barking deer, spotted deer, pythons, emus, freshwater crocodiles, peacocks and pheasants. All the animals have been given huge areas to roam freely, with lush forests and brush for their habitats. Some animals are kept at a distance from visitors for safety reasons. The Dhaka Zoo has also assisted in growing the number of animals in Dulahazra Safari Park through their reproduction program, enabling visitors to view other wildlife such as monkeys, lions, parrots, horses, giraffes, tigers, elephants, lizards, zebras and frogs. Some of the elephants at the park are domesticated, and visitors are able to interact with them. Visitors can be driven through the Dulahazra Safari Park by jeep to explore the extraordinary wildlife, and there is a specially constructed tower for tourists where they are able to look out over the park and view numerous animals. It is really the ideal attraction for a family outing, as it is also a research centre that focuses on conserving the environment as well as educating the public. Conservation and breeding of the extinct and endangered wild animal species. in the park as ex-situ condition. To provide assistance for in-situ conservation of critically endangered wildlife through out the country. Development of rescue center and veterinary hospital to provide assistance to injured wildlife in the country. Development of the Nature Interpretation Center with light and sound model for creation of conservation awareness among the public. To bring large water body for migratory birds under scientific management. Establishment of aviary for extinct, rare endangered species of bird. Establishment of a Natural History Museum for plants and animals endemic to the area.